Did you know Howard Carter discovered King Tut’s tomb and supposedly unleashed a deadly curse? Some say his death in 1939 was punishment for violating the resting place of the legendary pharaoh, but who knows––he might have just caught the flu! 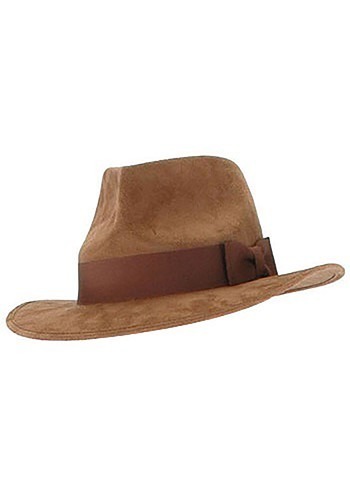 If you want to be the next great explorer and adventurer, then you should give our Mens Brown Adventure Fedora Hat a try! It’s the perfect thing to wear when exploring Mayan temples, ancient pyramids, or seedy dives from South Bend to Shanghai. You can even go to the grocery store and seek out exotic fare in the “International Food” aisle. Just because the fedora has suffered an unfortunate association with internet trolls doesn’t mean there aren’t plenty of classic fedora-wearing characters that would still make great costumes. Indiana Jones, Philip Marlowe, Sam Spade, Freddy Krueger… the key is pairing it with an appropriately formal or rustic outfit, not cargo shorts and a Tommy Bahama shirt.